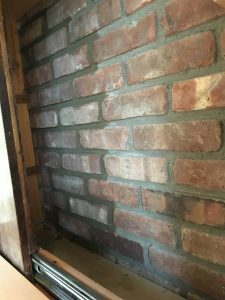 Fireplace TV Installation - Shea Communications Inc. 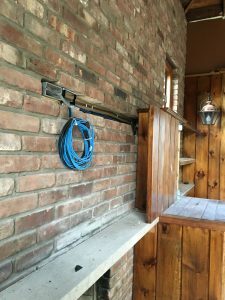 The highly trained professionals here at Shea Communications have mastered the skills needed to mount your TV into any environment. Shea Communications follows an aesthetic principle with all of our jobs. 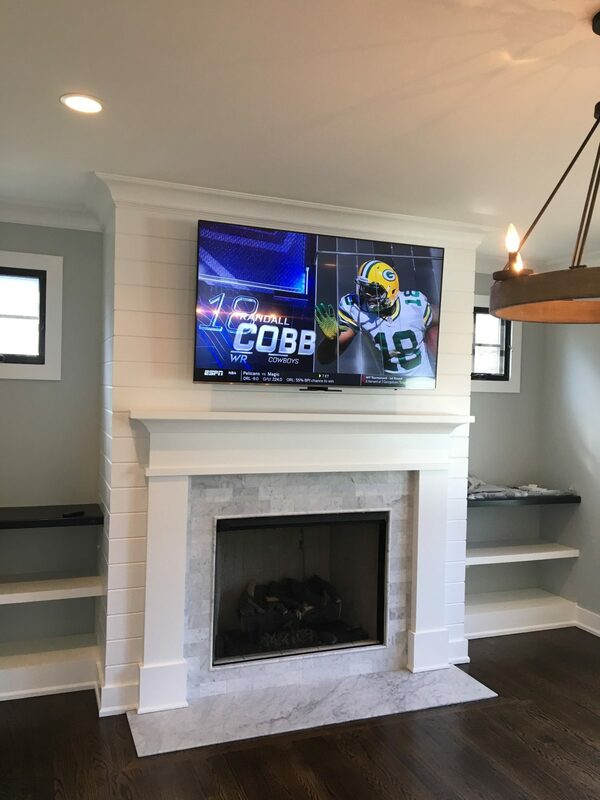 This job called for a TV to be mounted on a fireplace with no exposed wires. 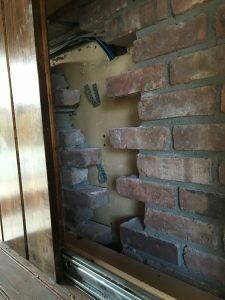 After strategically cutting the brick, the team placed the necessary wires and mounts and then replaced the brick. 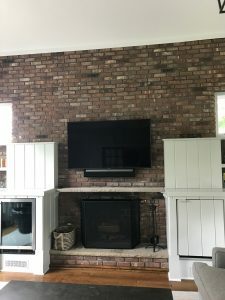 This allows for the TV to sit in the middle of the fireplace without any exposed wires. 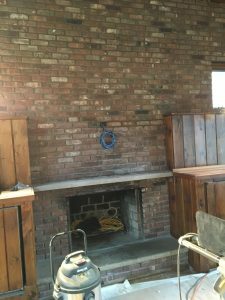 The brick work done on the fireplace looks exactly the same as it did with an addition of a great TV. 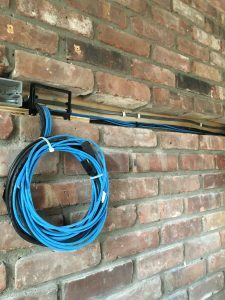 Another beautiful job done by the SCI team!